Whimsy Tweeter Totter Hummingbird Feeder - SEHHWHTT. 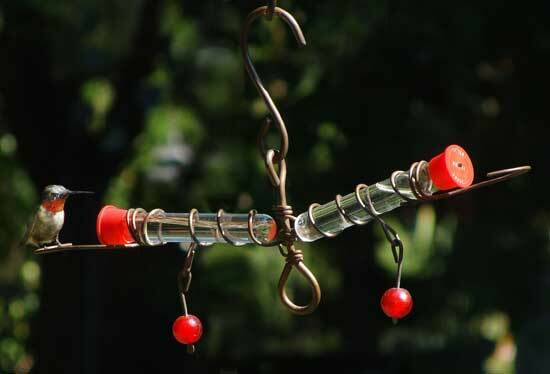 The Whimsy version has 2 feeding tubes with red glass beads that dangle to attract hummers. Dimensions: 6 1/2 inches X 12 inches.